1 A None No Power Seat 1 A is a standard Economy Class seat with additional legroom due to the bulkhead. Viva Aerobus allows passengers to reserve this seat for an additional fee. The proximity to the lavatory and galley may be bothersome. The tray table is in the armrest, slightly reducing width and making the armrest immobile. There is no floor storage available during take-off and landing. 1 B None No Power Seat 1 B is a standard Economy Class seat with additional legroom due to the bulkhead. Viva Aerobus allows passengers to reserve this seat for an additional fee. The proximity to the lavatory and galley may be bothersome. The tray table is in the armrest, slightly reducing width and making the armrest immobile. There is no floor storage available during take-off and landing. 1 C None No Power Seat 1 C is a standard Economy Class seat with additional legroom due to the bulkhead. Viva Aerobus allows passengers to reserve this seat for an additional fee. The proximity to the lavatory and galley may be bothersome. The tray table is in the armrest, slightly reducing width and making the armrest immobile. There is no floor storage available during take-off and landing. 1 D None No Power Seat 1 D is a standard Economy Class seat with additional legroom due to the bulkhead. Viva Aerobus allows passengers to reserve this seat for an additional fee. The proximity to the lavatory and galley may be bothersome. The tray table is in the armrest, slightly reducing width and making the armrest immobile. There is no floor storage available during take-off and landing. 1 E None No Power Seat 1 E is a standard Economy Class seat with additional legroom due to the bulkhead. Viva Aerobus allows passengers to reserve this seat for an additional fee. The proximity to the lavatory and galley may be bothersome. The tray table is in the armrest, slightly reducing width and making the armrest immobile. There is no floor storage available during take-off and landing. 1 F None No Power Seat 1 F is a standard Economy Class seat with additional legroom due to the bulkhead. Viva Aerobus allows passengers to reserve this seat for an additional fee. The proximity to the lavatory and galley may be bothersome. The tray table is in the armrest, slightly reducing width and making the armrest immobile. There is no floor storage available during take-off and landing. 12 A None No Power Seat 12 A is a standard Economy Class seat with additional legroom due to the exit row and limited recline due to the other exit row behind. Viva Aerobus allows passengers to reserve this seat for an additional fee. 12 B None No Power Seat 12 B is a standard Economy Class seat with additional legroom due to the exit row and limited recline due to the other exit row behind. Viva Aerobus allows passengers to reserve this seat for an additional fee. 12 C None No Power Seat 12 C is a standard Economy Class seat with additional legroom due to the exit row and limited recline due to the other exit row behind. 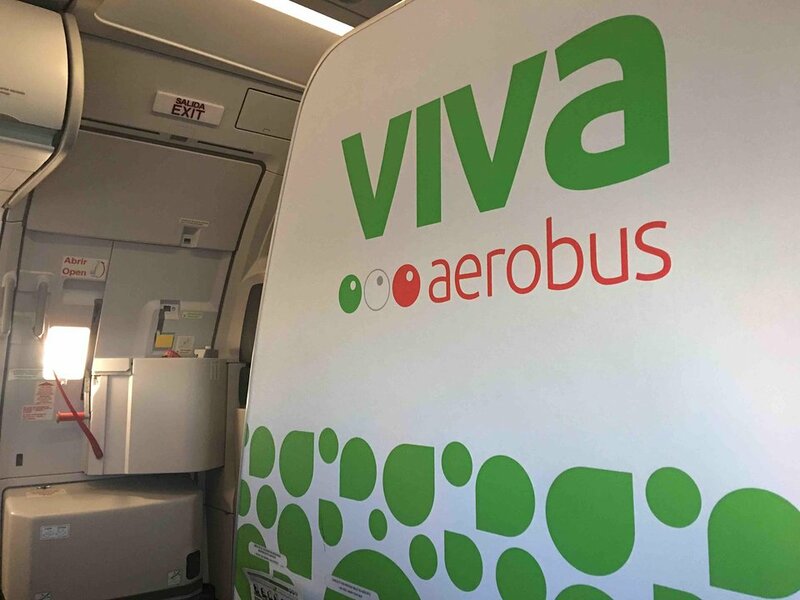 Viva Aerobus allows passengers to reserve this seat for an additional fee. 12 D None No Power Seat 12 D is a standard Economy Class seat with additional legroom due to the exit row and limited recline due to the other exit row behind. Viva Aerobus allows passengers to reserve this seat for an additional fee. 12 E None No Power Seat 12 E is a standard Economy Class seat with additional legroom due to the exit row and limited recline due to the other exit row behind. Viva Aerobus allows passengers to reserve this seat for an additional fee. 12 F None No Power Seat 12 F is a standard Economy Class seat with additional legroom due to the exit row and limited recline due to the other exit row behind. Viva Aerobus allows passengers to reserve this seat for an additional fee. 13 A None No Power Seat 13 A is a standard Economy Class seat with additional legroom due to the exit row. Viva Aerobus allows passengers to reserve this seat for an additional fee. 13 B None No Power Seat 13 B is a standard Economy Class seat with additional legroom due to the exit row. Viva Aerobus allows passengers to reserve this seat for an additional fee. 13 C None No Power Seat 13 C is a standard Economy Class seat with additional legroom due to the exit row. Viva Aerobus allows passengers to reserve this seat for an additional fee. 13 D None No Power Seat 13 D is a standard Economy Class seat with additional legroom due to the exit row. Viva Aerobus allows passengers to reserve this seat for an additional fee. 13 E None No Power Seat 13 E is a standard Economy Class seat with additional legroom due to the exit row. Viva Aerobus allows passengers to reserve this seat for an additional fee. 13 F None No Power Seat 13 F is a standard Economy Class seat with additional legroom due to the exit row. Viva Aerobus allows passengers to reserve this seat for an additional fee. 29 C None No Power Seat 29 C is a standard Economy Class seat. The proximity to the galley and lavatory may be bothersome. 29 D None No Power Seat 29 D is a standard Economy Class seat. The proximity to the galley and lavatory may be bothersome. 30 A None No Power Seat 30 A is a standard Economy Class seat in the last row of the aircraft, and thus may have limited or no recline due to the bulkhead behind. The proximity to the galley and lavatory may be bothersome. 30 B None No Power Seat 30 B is a standard Economy Class seat in the last row of the aircraft, and thus may have limited or no recline due to the bulkhead behind. The proximity to the galley and lavatory may be bothersome. 30 C None No Power Seat 30 C is a standard Economy Class seat in the last row of the aircraft, and thus may have limited or no recline due to the bulkhead behind. The proximity to the galley and lavatory may be bothersome. 30 D None No Power Seat 30 D is a standard Economy Class seat in the last row of the aircraft, and thus may have limited or no recline due to the bulkhead behind. The proximity to the galley and lavatory may be bothersome. 30 E None No Power Seat 30 E is a standard Economy Class seat in the last row of the aircraft, and thus may have limited or no recline due to the bulkhead behind. The proximity to the galley and lavatory may be bothersome. 30 F None No Power Seat 30 F is a standard Economy Class seat in the last row of the aircraft, and thus may have limited or no recline due to the bulkhead behind. The proximity to the galley and lavatory may be bothersome. Viva Aerobus' operates the Airbus A320-200 on their short-haul routes. Each are configured with one class of 180 Economy Class seats. 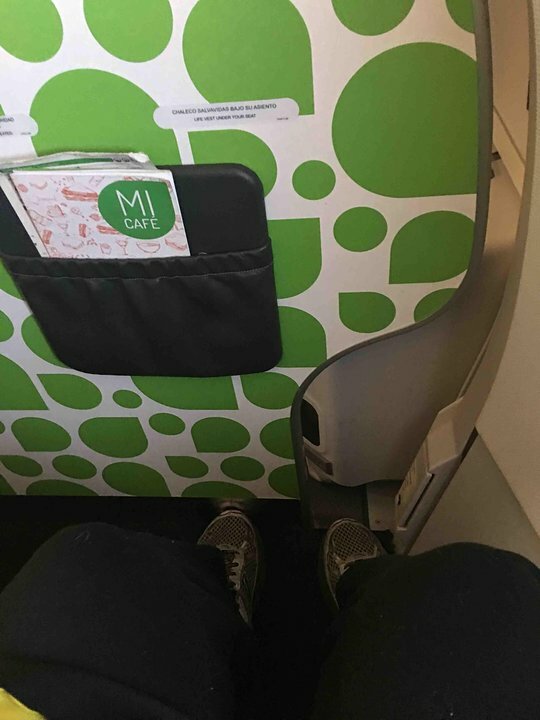 Narrow seat, too close to the seat in front of it, legroom is somewhat restricted and the back doesn't recline. 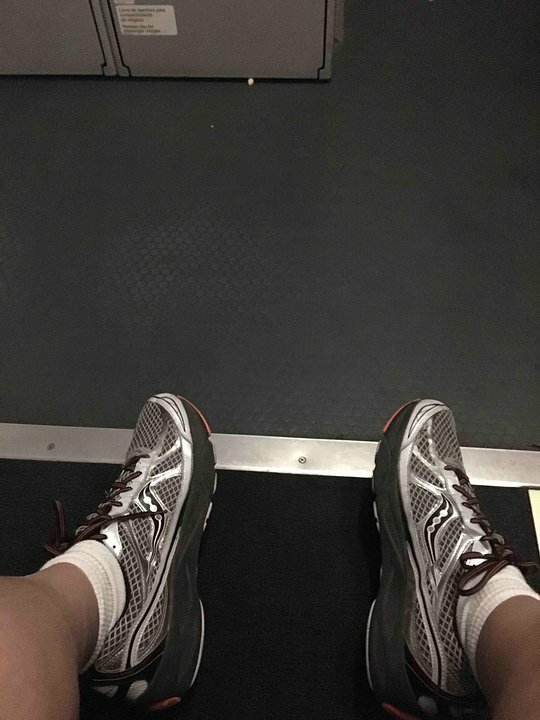 Consider this for flights longer than an hour.